As a part of the firm’s municipal practice group, Julia E. Lavine appears in state and federal courts throughout Connecticut. She defends general and professional liability claims, including negligence, nuisance, highway defect, and civil rights claims brought under 42 U.S.C 1983. Prior to joining Howd & Ludorf, LLC, Julia interned at the U.S. Attorney’s Office; Office of Connecticut Attorney General, Employment Division; Connecticut Fund for the Environment; and as a research clerk for the Connecticut Superior Court Judges. Rousseau v. Town of Southington: Julia recently made a successful argument for summary judgment in a case she defended for the Town of Southington. In granting summary judgment for the Town based on governmental immunity, the Court held that inspection and maintenance of a Town Hall is discretionary, and a resident who is paying a tax bill at the Town Hall is not considered an identifiable person even though payment of taxes is required of all citizens. 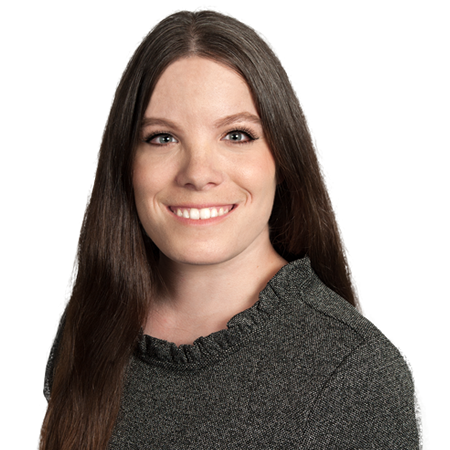 Family Garage, Inc. v. Liberty Mutual Insurance Company: Julia successfully argued a motion to strike claims of bad faith and violation of CUTPA/CUIPA in a first party claim for benefits under a commercial auto policy.